You never want to have to call a repair service to help you because it means something is not working the way that it should. The problem is that repair work is a necessary component of home ownership, whether it is getting your refrigerator or stove fixed, or having your central air conditioning system fixed. When you live in the Los Angeles area, your air conditioning is a vital part of your life at any time of the year, so when it is not working right, it can be very disruptive to your life. It pays for you to know the #1 rated central AC repair company in Los Angeles so you can get the best repair work done when you need it most. 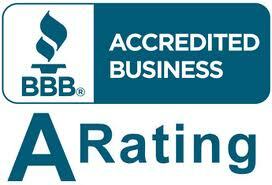 Here at American Clean Air and Heating, we know what it takes to be the best at what we do. 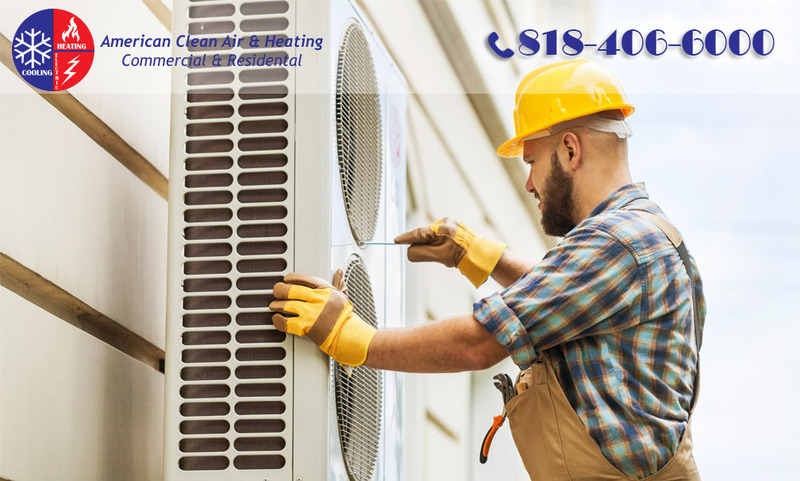 As a fully licensed, insured and bonded repair service, we supply residential and commercial customers with the quality service that keeps central air systems working at their best. Our expert technicians can assist you with any brand or type of system you may have, old or new, and they use the best tools, technology, and expertise to diagnose and repair problems quickly and accurately. Whether you call us for repair work, maintenance, or installation of a new system, we know what it takes to do the job well. We are the #1 rated central AC repair company in Los Angeles because our customers know that they can rely on us to be there for them when they need help the most. We offer 24/7 emergency service to our customers, so if you have a problem with your system day or night you know, you can reach us for help. We can have professional technicians out to you as quickly as possible to help get your system running right again. 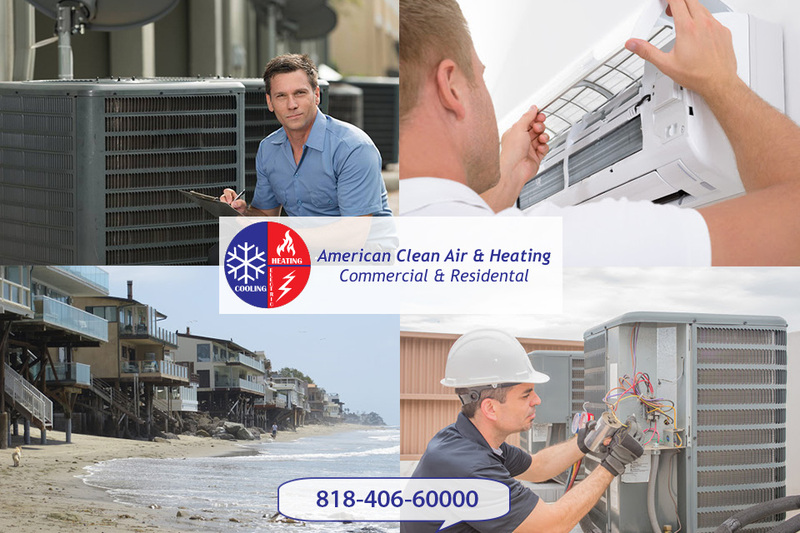 When you need the help of the #1 rated central AC repair company in Los Angeles, make sure you call us here at American Clean Air and Heating. Remember our phone number, 818-403-3128 so you can contact us to ask questions or set up an appointment for a service call to get assistance with your AC. You will be glad that you called when you see the quality work we do for you. As much as you love living in Southern California, you know there are days where the weather is going to be hot and muggy. Days like this make you look forward to being at home in the cool, refreshing atmosphere that your air conditioning provides. Your comfort relies heavily on your AC working the way it should, and when something goes wrong, it can be stressful and upsetting and make life very uncomfortable for you. What you need to do is know a few tips so you can get quality air condition repair in Sherman Oaks that will help keep your system running. When you are first looking for a repair service to call, there are several factors you want to consider. Look at the company website so you can get a good feel for the services the company offers. You want to make sure they have the reputation of providing reliable repair service, but you also want someone that you know will respond to your needs quickly. A company that promises you a service time and then shows up hours or late or not at all without an explanation will just make you more frustrated. As you look for air condition repair in Sherman Oaks, it is important for you to be an educated consumer, so you know that you get a company you can trust working for you. Spend some time looking at customer reviews to get a clear idea of what type of service the company offers. Make sure they have experience working with the central AC system you have in your home, and that they use the best tools and technology to do work. You also want to know that they will provide you with a comprehensive estimate before work is done, so you know what is going on and what to expect. 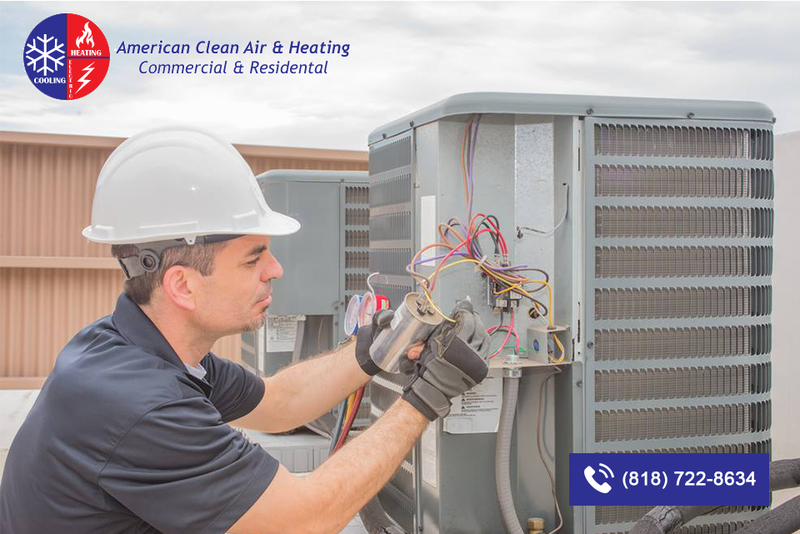 If you need quality air condition repair in Sherman Oaks, you want to call us at American Clean Air and Heating for Help. We have the reputation and experience you need on your side when your AC stops working. You can get in touch with us by calling 818-403-3128 to set up a service visit so we can get to work on your system right away and have your home cool and comfortable for you again. Even though summer has passed according to the calendar, when you live in Southern California you know there can still be plenty of days where it will be hot, humid and uncomfortable for you and your family. Having air conditioning in your home is something of a necessity today and keeping it operating at its best can be very important to you. The last thing you want is to spend nights tossing and turning without cool air to keep you comfortable because your system has stopped working properly. It is important that you know of a quality Glendale air conditioning repair service that you can call when you have trouble so you can get everything working again. When your air conditioner system acts up or breaks down completely, you need to know that the person coming to fix it will know how to analyze the problem, locate the issues and have the best solutions to fix them. Hiring just anybody to do the job for you is not the right way for you to go. There is a big difference between someone that is properly licensed and certified to do this work and someone that just tells you they know what to look for to fix things. You want someone with understanding and experience working to fix the problem, so it gets repaired the correct way. 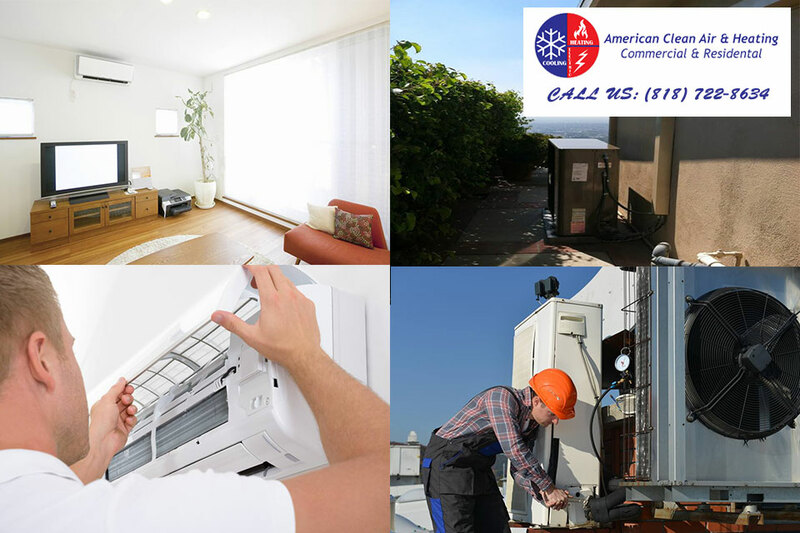 The Glendale air conditioning repair service that you hire needs to be a company that is responsive to you. You want to call a company that answers the phone or messages promptly, responds to your needs, and has emergency service available to help you when you need it most. You also want to know that the service will send a technician that is amiable, responsible and works hard and has the best supplies, tools, and technology available to them to perform any needed repairs without long delays or fuss. No matter what time of year it may be, if you find that you need a Glendale air conditioning repair service to help you, make sure you give us a call at American Clean Air and Heating. We are a licensed and insured repair service that uses highly experienced technicians for every job so you can be sure to get the help you need. You can call us at 818-406-6000 and arrange for a service call so you can get the help that will get your system working the way it should. We all hate to be caught unaware in any aspect of our lives. When our boss throws an unexpected project deadline at us at work, we cringe and stress and work through it. When you get a flat tire, or there is something wrong with your car, you deal with it and get on with your day. You need to take the same approach when something is wrong with your air conditioning system in your home. The unexpected can and will happen at some point, and you need to know the proper way to react. Instead of stressing too much about it, it is a good idea to tell yourself you will find specialists for AC repair near me and get it fixed. When you live in a warm area like Southern California, your air conditioning is going to get a pretty good workout all the time. Because your system works harder, there may be times where it is not functioning properly, blowing out warmer air than it should or giving you just a trickle of cool air instead of a steady flow of air. Like other situations, you may feel stress and anxiety right away when you know something is wrong. You fear what it will cost to get the system fixed, wonder if you will need to pay to get it replaced and even worry about how long it will take to find someone to help you. 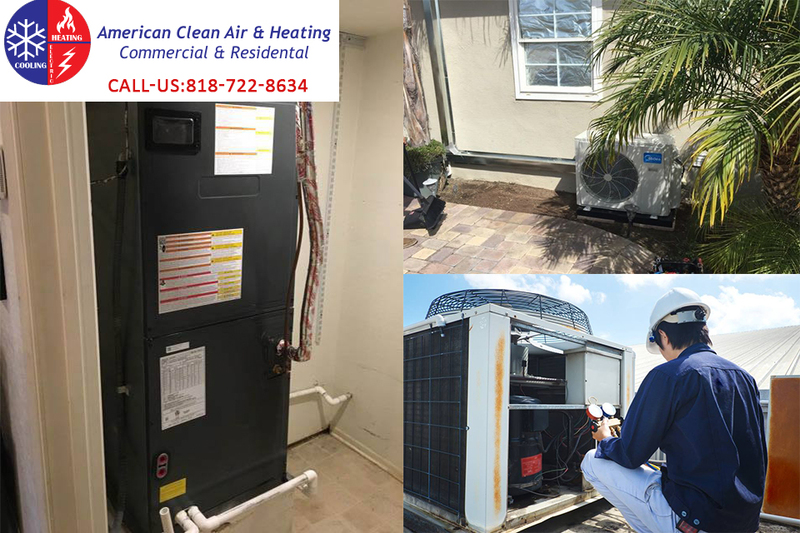 Here at American Clean Air and Heating, we are the answer to the question of “where will I find quality AC repair near me?” We are the specialists you are looking for and are here for you when you need help the most. We have an expert staff of technicians on call 24 hours a day, seven days a week so we can always be there when you need help. We offer complete troubleshooting, repairs, maintenance, and service so that we can diagnose an issue, let you know the service options, and perform the needed work for you right away. 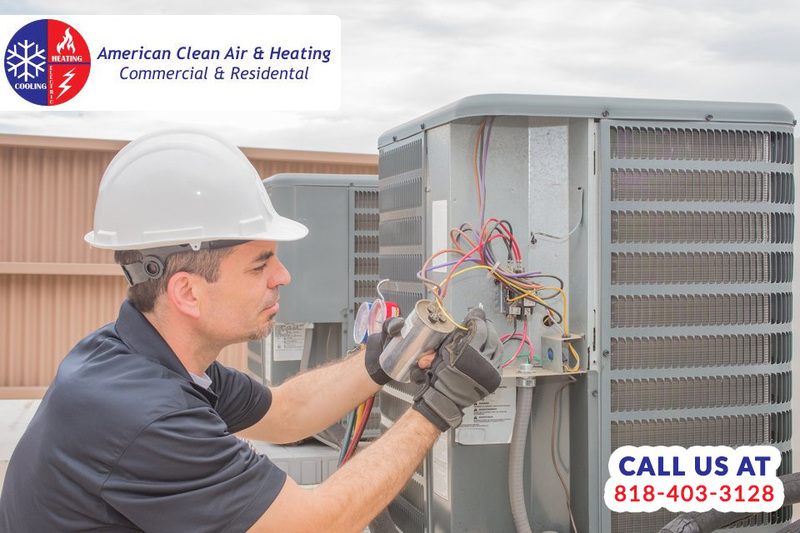 If you ever run into a situation where you wonder where to find AC repair near me, make sure you remember our name at American Clean Air and Heating. You can contact our office at any time by calling 818-406-6000 to ask questions and arrange for a service call. Never get caught off guard when you need help with your AC again when you have our number nearby. When you are having trouble with your air conditioning it can create a great deal of havoc in your life, especially when you live in a warm area in California. The thought of having an AC system that is not functioning as it should or, even worse, not working at all, can make your days and nights at home seem endless and uncomfortable. At the first sign of any type of trouble with your AC system you are going to want to reach out to a repair service to take a look. Before you make that first phone call there are some basic facts you are going to want to know about your AC repair company so you can be sure you get a good job done. Any repair company that you are considering using should be properly licensed and insured before you let them perform any work for you. Getting someone that has the proper license lets you know that the technicians have undergone proper training and have the experience needed to work on AC systems and provide any of the services that may be necessary. Insurance is also an important factor to consider as you want to be sure that you are protected in case there is any type of accident where damage is caused to your system or home or if someone is injured during the repair or installation process. You want to know that the AC repair company you hire is one that is going to be reliable in every way. This means that they are going to answer the phone or messages that you leave promptly, schedule appointments and show up in the given time frame to do the work they are promising to do. You also want to know that the company is going to perform quality services, whether it is the repairs that they need to perform or providing you with help in installing a new or replacement system. If you are in need of an AC repair company to help you with your failing system, call the experts at American Clean Air and Heating at 818-406-6000. 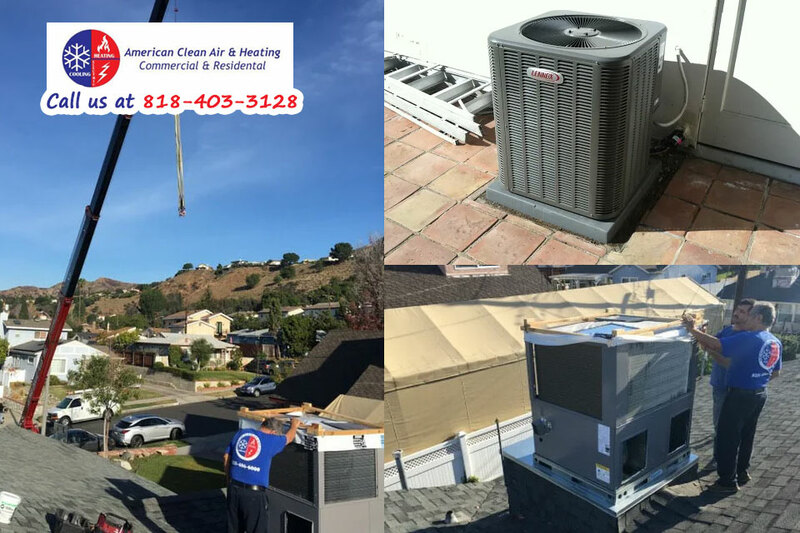 American Clean Air and Heating services the greater Los Angeles area and has over twenty-five years of experience in the region of helping people with all of their needs with their air conditioning systems.